David Bassett Another great effort Darren. Glad to here your take off Bill Lake's Home Truths album. I spoke to Bill when he released this at the Bodega Cafe in Willis Street. Such a talent that guy. The singing postman! There is great musical talent in the Capital you included. Keep at it. Favorite track: Thought I'd Seen It All. William spivey Favorite track is 1-10 and all above ...great album! Favorite track: Some Men. 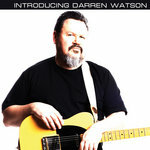 Get all 5 Darren Watson releases available on Bandcamp and save 20%. Includes unlimited streaming via the free Bandcamp app, plus high-quality downloads of Too Many Millionaires, South Pacific Soul, King Size, Introducing Darren Watson, and Saint Hilda's Faithless Boy. , and , . Introducing Darren Watson is the long-awaited follow-up to Darren Watson's critically acclaimed 2010 album Saint Hilda's Faithless Boy. 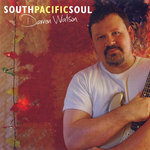 Recorded by Andrew Downes and Watson over the last year or so, then mastered by Munki Studio's bat-eared specialist Mike Gibson, it features ten new performances from Watson and a core band that features ex-members of legendary blues band Chicago Smoke Shop, The Warratahs, and Southside Of Bombay. The album features eight new original songs that span the gamut of 'blues' styles from Southern Soul, Blues Rhumba, Tex-Mex, Folk Blues, all the way to the bizarre yet compelling strangeness of the Ray Harryhausen inspired and totally self-performed Hungarian Rhapsody For A Kiwi Fulla. There are also two songs penned by Wellington-based songwriter Bill Lake (Mammal, Pelicans, Windy City Strugglers) including the beautiful, introspective masterpiece Thought I'd Seen It All. Here it is given a sparser, more intimate treatment by Watson than the almost breezy original feel on Lake's 1996 album Home Truths. There's also a rocking version of I Wanna Be With You, surely now a NZ blues standard, having also been covered on record twice by the venerable Midge Marsden. 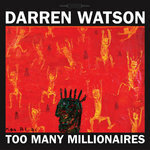 Introducing Darren Watson is anything BUT your typical bar-room blues album. 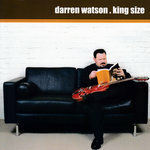 You won't find long, drawn out guitar solos for their own sake, and while Watson certainly tips his hat to the great Stax, Hi, and Chess productions of the 60s, you won't just find a re-tracing of the great blues music from the past. What you get is original, engaging Kiwi rhythm & blues. Tight, intelligent writing. Great playing. Real performances. Non-bloated production. Mastered by Mike Gibson @ Munki Studios, Wellington, NZ. 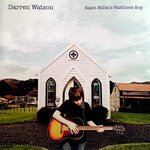 All songs (C)2014 Darren Watson except Thought I'd Seen It All (Lake-Baysting), and I Wanna Be With You (Lake). All permissions through APRA/AMCOS.